Mangaluru: Niranjan Rajeev, a class 10 student of Lourdes Central School, Bejai, here has won the National Junior Ice Skating Championship title for the third consecutive year. 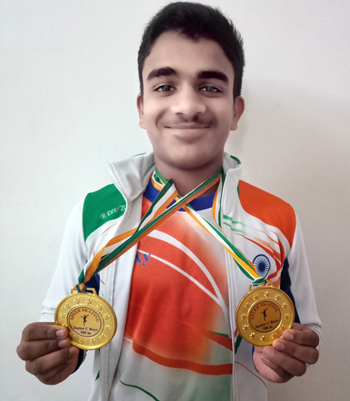 Niranjan won golds in 500 meter and 700 meter at the National Ice Skating Championships held at Gurugram, Haryana on November 17 and 18 under the aegis of Ice Skating Association of India. He is representing India at Asian Open Short Track Championship to be held at Jakarta toward November end and presently getting trained by Indian national coach Avadhut Tawade.